PLACIDA, Fla. – A 20-foot sperm whale calf has beached itself at Gasparilla Marina, according to witnesses who filmed their efforts to save it. 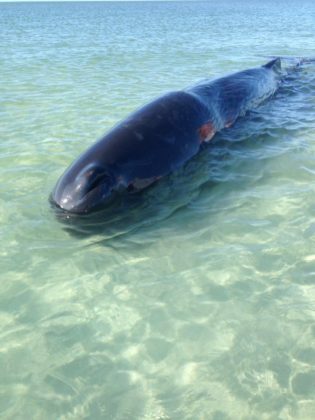 The baby whale is less than a year old, was separated from its mother and in really bad shape, though Florida Fish and Wildlife experts are unsure what caused it to beach itself. 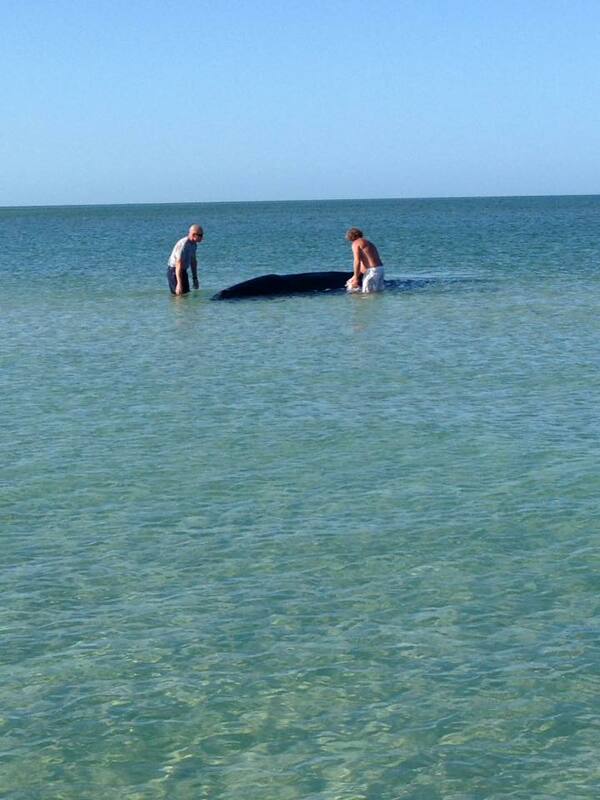 Lori Charette said she found the whale at low tide at about 8:30 a.m. on Tuesday. FWC was called to the scene and was waiting for the arrival of a veterinarian just before noon. Once they arrived, veterinarians worked to euthanize the whale before taking blood samples and running other tests. 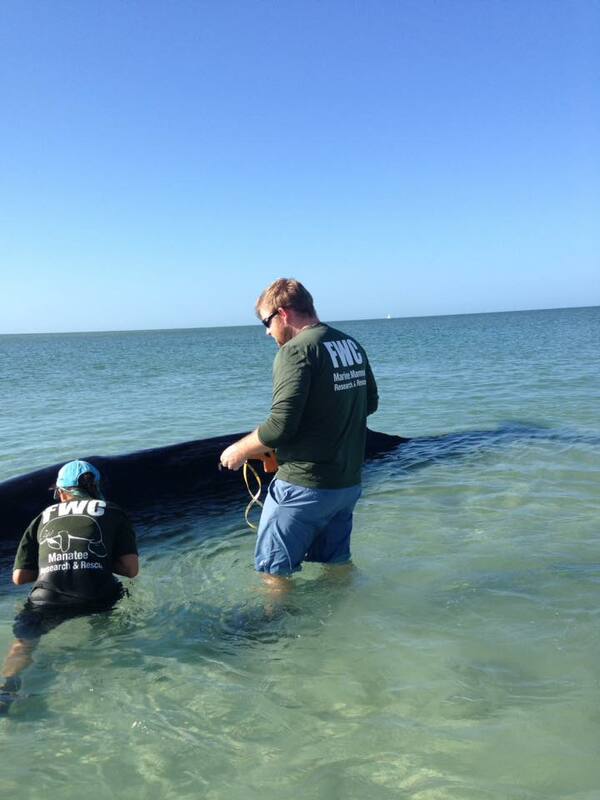 The whale will be transported to a facility in St. Petersburg where authorities will perform a necropsy. FWC advises that if an animal washes ashore, don’t go near it or try to force it back into the water. Animals usually beach themselves for a reason and to instead call their hotline at (888)-404-3922.